Unlike fundamental analysis, where the conclusion regarding this or another currency is made on the basis of offer and demand for this currency, technical analysis forms conclusions regarding currency rates on the basis of currency market of the previous periods. In order to be a successful trader in the Forex market, the person must know how to predict changes of currency exchange rates. Those predictions are founded on the results of the analysis data. In order to make a proper use of the analytical calculations given on the website and then make profits from trading currencies, it is necessary to understand what serves the basis for this analysis and what indicators are used in each case. In essence, two types of such analysis are identified: fundamental and technical. Here, the essential element is the dependence of currency price on certain factors such as economic, political, and financial. In this regard, it is important not only to consider the influence of these factors on the currency rate, but, first of all, determine which events will influence the movement of currencies in Forex, and which ones - will not. The shortcoming of predictions made on the basis of fundamental analysis is that they are rather targeted at mid-term and long-term than short-term perspectives. Here, the reason is simple: the bigger part of the data that serve the basis for the calculation of indicators for this analysis are issued with a certain periodicity: weekly, monthly, and quarterly. At the same time, mid-term and long-term perspectives of market development, undoubtedly, also influence short-term perspectives. In other words, they set a trend, a tendency. Besides, we shouldn't forget that fluctuations of currency exchange rates are based rather on the market response to this or other information than on some objective factors. And since the market swarms with the news and rumors, short-term fluctuations in the market are very frequent, although they are not illustrative: the market straightens up after a new "decoy". That is so called market noise. Fundamental analysis helps to exclude this factor and make a forecast only on the basis of objective data. The second shortcoming of fundamental analysis is its complexity. If one foundational indicator changes, then, as a consequence, there will be a change in the tens of others. Meanwhile, the number of indicators for each country may exceed fifty various indexes and ratios, while a part of them are interconnected, and some are mutually exclusive. Besides, it is necessary to consider the specifics of economy of this or another country, its connection with the economies of other countries, mutual influence, and so on. Indicators of capital movement. Movements of both trading and investment capitals belong here. These indicators characterize demand and offer in regard to this or another currency on the part of those institutions that carry out export-import operations. Financial market indicators regarding the country of issue. Here, it deals with investment profitability in the national currency on the part of investment institutions. Macroeconomic indicators. These indicators characterize the economy of the country of issue and the dynamics of economic growth. Trading and production dynamics indexes. They show the development level of trading and production sectors of this or another country, i.e. domestic demand for the goods manufactured in the country, the dynamics of industry development, the readiness of the population and national companies to spend money, etc. Labor market indexes. These indexes characterize the condition and the dynamics of work force sector, indirectly showing potential demand for goods and services within the country and paying capacity of its citizens. Inflation indexes. These indexes initially show inflation pressure on the country's economy and, as the result, on the national currency. Characteristics of monetary and credit policy of the country. They deal with central banks refinancing rates, the standards of reserve requirements, volumes of placed securities issued by the state, the size of external credits, and many other things. Based on these data, a conclusion is to be made regarding what policy the country will implement in the future and how it is going to reflect on the national currency exchange rate. Economic activity and business optimism indicators. These indicators characterize the stability of investors' condition in the present time as well as the degree of their optimism regarding the future. Indexes of construction industry. Since economists believe that construction cycle goes ahead of economic cycle that is common for the whole country, this industry's indexes are singled out into a separate category. In fact, in this case, it deals with the forecasts regarding economy development in general on the basis of the data on this industry. 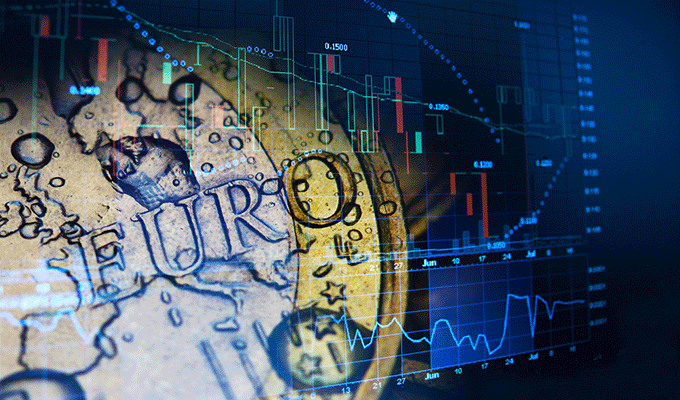 Unlike fundamental analysis, where the conclusion regarding this or another currency is made on the basis of offer and demand for this currency, technical analysis forms conclusions regarding currency rates on the basis of currency market of the previous periods. In essence, fundamental analysis considers the reasons for changing of currency prices and, based on these reasons, makes predictions in regard to rates; technical analysis ignores these reasons, while taking into consideration only actual price history. The idea is based on the periodicity of all market cycles, and that allows to calculate forecasts for the future with the help of various mathematical models. Besides, all fundamental analysis indicators have already had their effect on the currency prices in the previous period; and that principle also serves the basis for technical analysis. Technical analysis considers trends, previous period tendencies, assuming that once those tendencies have been set, the market will require some time to change them; so, in the framework of this short-term period, technical analysis is often really effective. Three main types of trends have been identified: Upward, Downward, Sideways. In the first case, it deals with the growth of the price; in the second - with its decline; and in the third case, it almost does not change. It is natural that as such, all these tendencies are not present in the market in their pure from; that is why, it is not that easy to catch the direction of the exchange rate movement. Besides, prices fluctuate, and one can make a mistake, taking short-term fluctuations for the change of the trend. No type of analysis, in itself, can give a hundred-percent guarantee of the veracity of predictions received. However, when combined, both these instruments give the trader an opportunity to make quite an accurate prediction of currency rate changes and, as the result, the possibility of successful activity in the Forex market. This effect, besides, inability to use analysis instruments, is the main reason of losses in the Forex market. Let's assume that you have made a thorough study of the market situation, analysts' forecasts, and financial and economic indicators, came to the conclusion that the currency selected by you will certainly grow in price and opened a position in it, having invested a large sum of money. However, the price for this currency, contrary to all predictions, begins to decline. Since you know about short-term fluctuations in the market, you don't change the strategy and simply wait for the currency rate to change in accordance with your expectations. You let the price go down and don't want to acknowledge your mistake and defeat, and you don't want to accept the losses. Therefore, you leave the position open and, as a result, lose even more. That is what is called the effect of price flooding. Falling under the influence of this effect, trader does not close the losing position and often does just the opposite - increases it. Moreover, this effect is found in a more sophisticated variant. You, as anyone else, don't want to work "idle", just the opposite, you want to perform as few ineffective actions as possible. If you spend some time studying a currency, prices for it, economic indicators of the issuing country, the influence of other countries on the economic situation in it and, in your opinion, took into account all the factors, you will hardly let so many efforts be wasted for nothing. Falling under the influence of this effect, you, just the opposite, will invest more and more into this currency trying to justify your efforts. And, as a result, you will lose even more. You should not underestimate this influence of this effect; however, you should not become desperate, either. Firstly, you must always be realistic in assessing your risks. The rule that is defined for any type of investments is suitable for Forex operations in the best way possible. Secondly, you should not be exceptionally devoted to analyzing currency trends and fundamental indicators since everything must be done reasonably. If you neglect this rule and follow a strong desire to make a profit, there is a high risk of the fact that your common sense will be greatly affected by subconscious influence and you will yield to the effect. You should keep in mind that the information that you obtain and the efforts you made were not in vain, they will play into your hands a bit later. That is on the condition that you will learn to wait for the right moment and will treat losses with calm. These particular actions along with sober estimate of the situation will help you to minimize losses when you invest into a currency whose exchange rate began to decline. And, by all means, knowing about this effect, you will have less problems handling its effects. You should only remember that no prediction gives a hundred-percent guarantee of profits. That is why experienced traders, although they base their actions on the results of predictions, always consider the risk of losses and do not allow emotions to overcome them.